Christian cross and hammer. Woodcut style illustration of a christian cross, hammer and three nails. 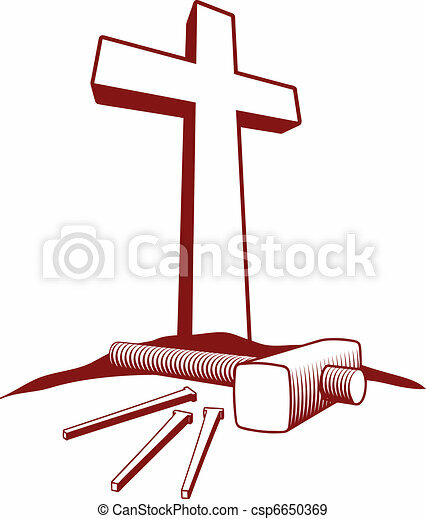 Woodcut style illustration of a Christian cross, hammer and three nails.